Welcome back to my agent referral blog. Today I want to talk about call capture, a topic I’m really confident about. 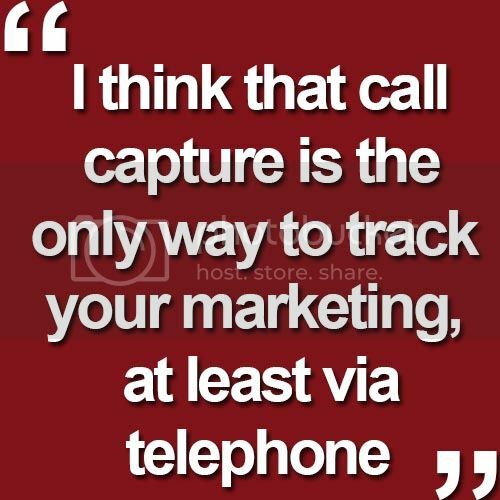 I think that call capture is the only way to track your marketing, at least via telephone. We use a great site called CallFire.com to set up over 80 different phone numbers for each of our marketing platforms. Everything we do in our marketing has a different number attached to it. This allows us to track where every single one of our customers came from at the end of the month and determine what our return on investment for each strategy was. For our sign calls, we have them ring to all 9 of our buyer agents at the same time. If none of them are able to answer, an email is sent to them directly and we make sure at least one of our agents calls them back as soon as possible. I also record these calls, so I can see if everyone is using our scripts properly, and if anything needs to be adjusted. If you are using call capture technology, one thing we do is that every month we take the sign calls that we couldn’t get a hold of, and put them back into our dialer and work them again. It just gives us another way to reach out to people that we might not be able to otherwise. So, take a look at some call capture technology, and let us know how it works out. Also, if you know anybody in Arizona who is looking to buy or sell real estate, we cover the whole state, so let us know!